The European XFEL facility in Hamburg (on the right side) and Schenefeld (Schleswig-Holstein) (Source: European XFEL). The European X-Ray Free-Electron Laser 'European XFEL' in the Hamburg area will be an international research facility of superlatives: 27000 X-ray flashes per second and a brilliance that is a billion times higher than that of the best conventional X-ray sources will open up completely new opportunities for science. Research groups from around the world will investigate nanometre-scale structures, fast processes, and extreme states, taking 3D images of viruses and proteins, and filming chemical reactions. The construction and operation of the facility is entrusted to the European XFEL GmbH, a non-profit company that cooperates closely with its largest shareholder, DESY, and other organizations worldwide. 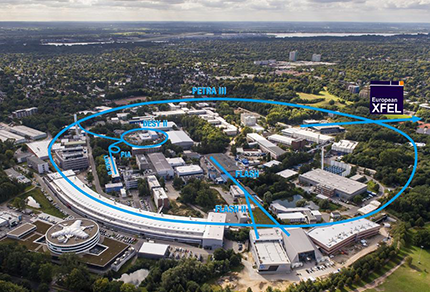 DESY also operates the accelerator on behalf of the European XFEL GmbH. 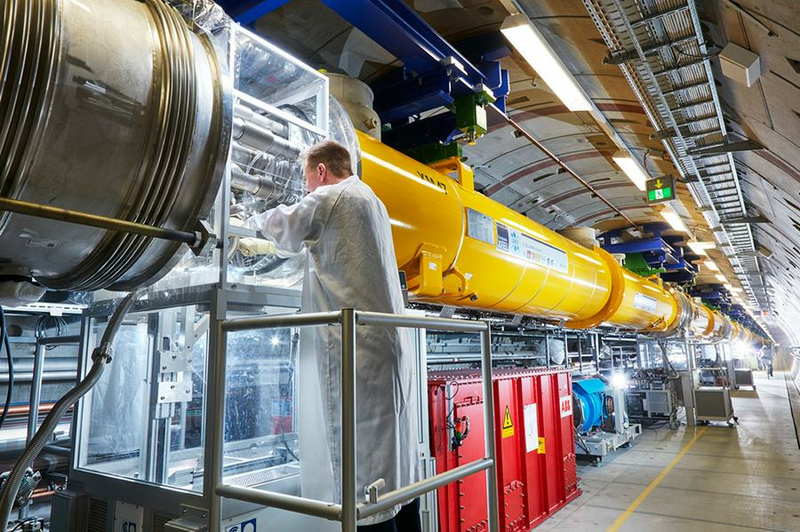 With construction and startup costs of more than 1.22 billion euro (at 2005 price levels) and a total length of 3.4 km, the European XFEL is one of the largest European research projects to date. The European XFEL is located mainly in underground tunnels which can be accessed on three different sites. 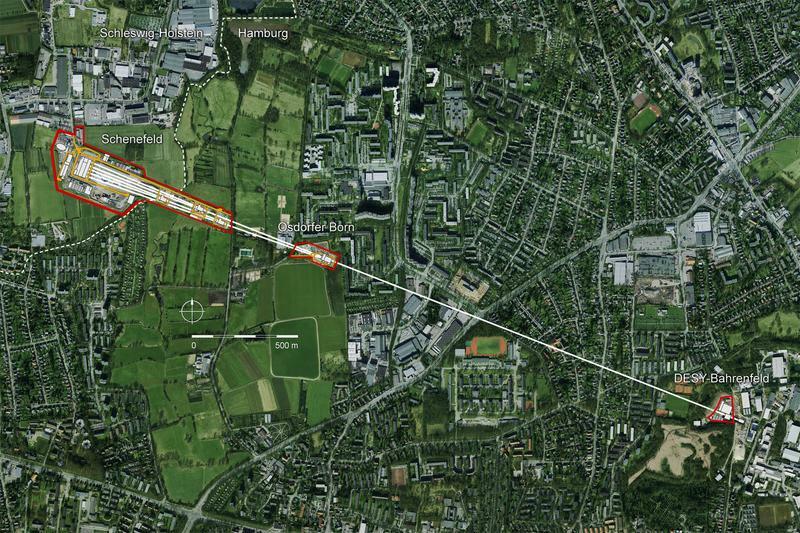 The 3.4-kilometre-long facility runs from DESY in Hamburg in a northwestern direction to the town of Schenefeld (Schleswig-Holstein). DESY also plays an important role as user of the facility. Therfore several user consortia have been formed, together with partners from other institutions, to prepare for the European XFEL’s user operation in an optimal way: SFX, HIBEF, hRIXS, DataXpress, and Como consortium. First user experiments started in September 2017.